In a hundred years, when most people reading this and the person writing this are long gone, Musk’s cars and rockets will still be circling the Earth and the skies. How can such a person get started against all odds is the question I ask here. 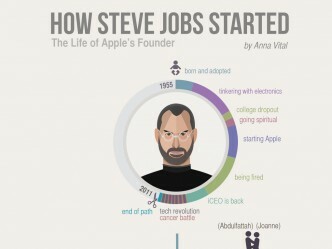 And, more importantly, what can we learn from him? Learning from Musk might seem naive. 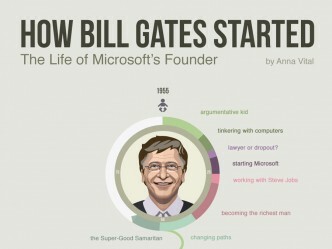 After all he is an outlier even among billionaires. I think this is exactly why he is worth studying – you don’t get insight into the extraordinary by studying the ordinary. Even with a sample size of one Musk we may find something in the way he started out that is fundamentally borrowable. The media often write this way. Articles about Musk call him a “genius”, which he is. But labels like this make his accomplishments sound like a foregone conclusion. They aren’t. For example, he still has to deal with big oil companies that want to see Tesla go down . 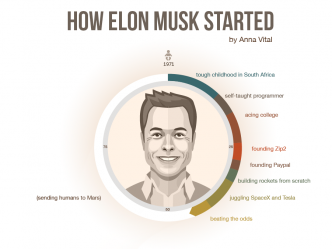 In this article and visualization I want to transport us inside Musk’s mind to understand how he started from the absolute beginning. How did he figure out what to do with his life? How did he come up with the first money to start a business? How many businesses did he try before? When we complain about life we mostly complain about our circumstances, not our decisions. We seem to be fixated on circumstances. When I first meet a person they tend to ask about my circumstances first – where am I from? where do I live? how long have I been in San Francisco? This is also true in other countries I’ve been. It’s only when people get to know me that they ask why I decided to be an information designer, for example. 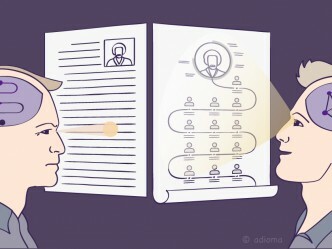 Why do circumstnces interest us more than decisions? Sure circumstances happen to us before we can even make decisions – even before we are born. But decisions are by far more interesting because that’s how you change circumstances, possibly to the point that the circumstances disappear or stop mattering. Musk was born in South Africa. Is that good or bad? I think it’s neither. What’s more interesting is that while still a kid he decided to move to the U.S. Why did he choose the U.S.? How did he decide to make it happen? That is the interesting part. 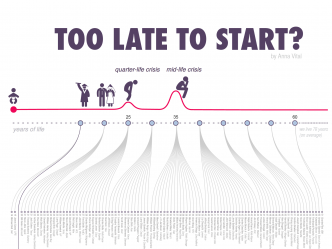 Here’s an experiment to try – put the major events of your life on a timeline from birth through today – then mark each event as either a decision, a circumstance or a result. Is there a pattern? Are decisions and circumstances about even? Do circumstances pile up before there is a decision? Or decisions outnumber circumstances? Ironically and unlike most kids, Musk had the option to live away from his father but instead he decided to live with his father and not his mother after their divorce. Most children age 9, or any age for that matter, would not choose to live with a parent who is tough on them given the choice. Musk often cites his difficult childhood as the reason he is able to cope with the stress of his job. So why did he choose it? He did not explain. But I think it’s worth pondering. I think the idea of people learning things faster than others stirs some deep emotions inside us. Even today in most countries universities don’t encourage you to graduate faster even if you learn faster. Lawyers and doctors are required to be in school for a certain period of time regardless of their learning speed. I remember in law school learning 80% of everything in the first year. The sentiment was common among law students. Still there was no way to speed up the remaining two years. This, of course, doesn’t matter in areas where people are commonly self-taught like art, music, and programming. And Musk took full advantage of self-teaching. There are some proven ways to learn a skill fast. One that I have learned myself is realistic drawing. I used to think drawing requires talent. Now I think talent is just a code name for skill we don’t understand. I read Drawing on The Right Side of Brain by Betty Edwards and did the exercizes it offered. I started drawing realistically after 5 days. Try it. Have you ever felt what it’s like to come to a new land where you are just another upstart? This might be the easiest of them all – get your hands literally dirty and see if it helps you get started. Compared to other people and companies, Musk has an unusually futuristic outlook. He has made and shared his plans for as far away as his death on Mars after he helps a million people move there on his rockets at $500,000 per ticket. It’s easy to dismiss this as marketing hype – and people did dismiss a younger Musk . By now it’s clear though that he lives up to his ambitions. Create some stress for yourself by sharing your plans and see how it feels. Of course, others like Jeff Bezos and Steve Jobs did the opposite. It probably makes sense to reveal your plans if you know that they are so far fetched that no one could copy them. Musk is known for not hanging on to things or people. He looks forward. Ironically he might have a lot more to look back at and be sorry about than many. His first child died at 10 months old, he divorced his first wife, the first 3 times he launched his rockets they blew up – one of them destroying an expensive NASA payload. He has blown promises, missed deadlines, miscalculated costs and had to charge customers extra after they had already paid (Musk had to ask 400 customers who already prepaid to add extra $17,000 for each Roadster). This list alone is enough, I believe, to make most people look back and infer that maybe it’s time to reign in the ambition, to mend relationships, etc. But that is not the point – for all his failings, Musk is capable of greatness. His products justify his mistakes. At the age of 44 he still has more to gain than he has lost – more rockets to launch, more cars to manufacture, and even more children to have. Think about it: if you believe there are more opportunities ahead it doesn’t make sense to be sad about lost opportunities. It makes sense to regret only if you lost more than you might gain. Here the key is probably in what you believe is still possible. We have to assume that the window of opportunity has not closed yet. In think on this point our intuitions are often mistaken – there is no proven critical period for learning, for example. This is even true for learning a foreign language. Yes, most adult immigrants speak with an accent but not because of their age. It turns out that when you learn your first language your parents speak to you in “parentese” a version of language that emphasizes exactly the sounds that are more difficult to distinguish. Plus they are patient with you. I guess as we grow older we do become impatient with ourselves. But that is a choice. Maybe no one is these to anticipate our mistakes, at any age we could find a willing teacher. So does it ever makes sense to look back and regret? Yes, but only if you can find conclusive evidence that what you want to do is no longer possible at your age. If you want to start, start literally anywhere. In the long run, it won’t matter where exactly you started. Most people would say that it’s the lack of money that prevents them from starting a startup. Musk’s biographer helpfully tells the amount he had when he started. Between him and his brother Kimbal they had $28,000 that came from their father plus $6,000 from their friend Greg Kouri, who joined as a co-founder of Zip2 . Today the $34,000 adjusted for inflation would be $53,000. This amount was enough to set up an office in Palo Alto. Musk and his brother slept in the office, showered at the YMCA, and subsisted on a diet of fast food. Would Musk make it without the $53,000? He’d probably have to work from a coffee shop for a little bit and sleep on someone’s couch. But it seems improbable that not having this money would have stopped Musk in the long run. Does $53,000 [or insert your amount] make the difference between starting and not starting for you? Figure out your minimum. Knowledge is free. It’s easy to carry around – it doesn’t weigh anything. Books are free at the library. Don’t underestimate how much you can learn just straight out of books. Don’t be too hard on yourself. It’s going to take some time to do anything worthwhile. Yes, people hack prototypes in a weekend but it takes much longer to make that thing amazing. Here in a nutshell you can see the story of Tesla through the eyes of the stock market. The stock was flat for a couple years because Tesla had yet to show profit. People weren’t yet buying into Musk’s optimism. When in April of 2013 Musk announced profit for the first time, the stock shot up. You can also see the incremental steps Musk took and how the stock grew accordingly. It’s hard to call Musk lucky considering the rocky start of SpaceX. You could be luckier or less lucky. The way you’ll compensate for the missing luck is just more tries. Here you can compare the number of successful launches to the number of failures. The rocket size seems to grow with the increasing confidence. Still three failures at the very start is not ideal. “I’d rather commit seppuku than fail,” Musk tells an investor to explain why he should get the investment . This is a theme with Musk in negotiations, physical activities, and relationships. He might move on but he doesn’t fail. He might be late on his promises, he might come across as too pushy, or get kicked out of the company he started, but he doesn’t let things fail. You can’t fail unless you give up. Why would you give up? Find your reasons and fix them. Most of the facts in the timeline are based on Ashlee Vance’s Elon Musk: Tesla, SpaceX, and the Quest for a Fantastic Future. Written with participation but not the final approval from Musk, this biography by Musk’s compatriot Ashlee Vance details the events of Musk’s life starting with his grandparents and all the way into 2015 when the book was released. Vance lets us see the world the way Musk sees it: employees grow complacent too soon, aerospace industry is incompetent and conniving, VC’s are short-sighted, co-founders run out of gas, engineers are too pessimistic about their own abilities. Throughout all this Musk doesn’t spare himself working 100-hour weeks. It is easy to adopt his ultralogical perspective of the world because it is inherently optimistic. 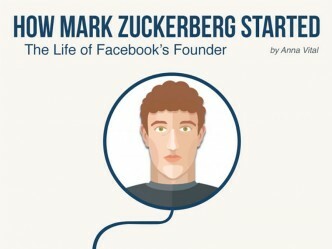 By the end of the book I feel the comparisons between Musk, Steve Jobs, Bill Gates and Mark Zuckerberg miss the point. Musk is the only one so far to build a future instead of just building products. 1. ^ Musk explained thinking from first principles in this interview with Kevin Rose. 2. ^ Elon Musk tweeted an audible sigh to the news that the Koch brothers who have major oil interests are planning to spend $10 million on an anti-electric car campaign. 4. ^ It’s not lost on Musk that his kids won’t suffer like he did. And it bothers him. He’s not sure what he can do though. “What do I do? Create artificial adversity? How do you do that?” he asks in the last chapter of his biography. 5. ^ The source code for Blastar was published in a magazine so someone recreated it here. 8. ^ It’s not proven, that there is a cut of period for learning languages, as mentioned in this Neuroscience book by Sinauer Associates. 9. ^ “Errol Musk gave his sons $28,000 to help them through this period, but they were more or less broke after getting the office space, licensing software, and buying some equipment. ” – from chapter 4 of Elon Musk by A.Vance. 10. ^ Jim Cantrell, space SpaceX founding team member, commented on Quora about Elon Musk’s learning about rockets. 11. ^ Musk actually said as much to one venture capitalist, informing him, “My mentality is that of a samurai. I would rather commit seppuku than fail.” – from chapter 4 of Elon Musk by A.Vance. This visualization came to life thanks to Ahrefs who have diligently crawled and analyzed trillions of links on the web which helped me find the most relevant articles about Musk through their content explorer to cross check the facts in the biography. I also used Ahrefs to make sure that the Vance biography is the most cited book on Musk’s life today. Mark Vital was at the helm of data visualization behind the graphics. Alex Unak created the face illustration and the Dragon space capsule standing on Mars.